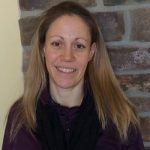 Tricia Newman has over 16 years of experience in Massage and CranioSacral Therapy. She has a BA in Biology from Wayne State University, Detroit, MI. Upon graduation, she went on to graduate from Irene’s Myomassology Institute, in Southfield, MI, and has been a Nationally Certified Massage Therapist since 1998. She has specialization in Orthopedic Massage, Upledger CranioSacral Therapy, Prenatal Massage, Hot Stone Massage, Swedish Massage and Deep Tissue Massage. She always strives to enhance her clients quality of life, and is quite successful using a whole body approach, tailoring each session to the individual client’s needs and goals. Always on the MOVE Wellness Studios, she enjoys walking, hiking, biking, playing soccer and working out with Insanity on a regular basis.